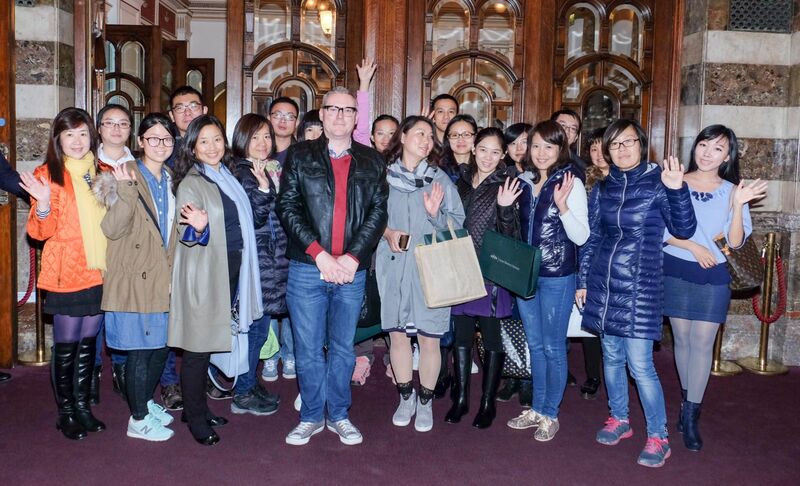 On Saturday 31 October, we showcased the creative strength of British theatre to a delegate of Chinese travel trade, working with VisitBritain we hosted a delegation of 30 at a performance of ‘La boheme’ at English National Opera in Central London. This fam trip came close after the State Visit to Britain by The President of The People's Republic of China, Mr. Xi Jinping. Pictured with the Chinese delegation is Jonathan Mountford made.